Saving My...: Picture Perfection With Picture My Life! coordinating 10-pack of Memory Protectors, so when you add your additional 10-pack for only $3 you will be well on your way to your own picture-perfect pocket scrapbooking adventure! Side Load, and Variety Pack. Now, I'm going to show you samples of all 13 of the available Picture My Life programs down below. But I thought you might like to see more examples of one in action. I shared these pics of the Later Sk8r version when the Picture My Life program first came out, but now is a good time to share them again. I'm leaving them in small size, so just click on any you want to see larger. I just love how fast these come together and how great they look! The memory protectors give you lots of different options for arranging things, too. 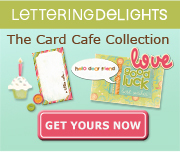 Now here are samples of some of the cards included in each PML Scrapbooking Program. You can click on the link under each picture to go directly to the order page for that style. As always, if you have any questions, just let me know!